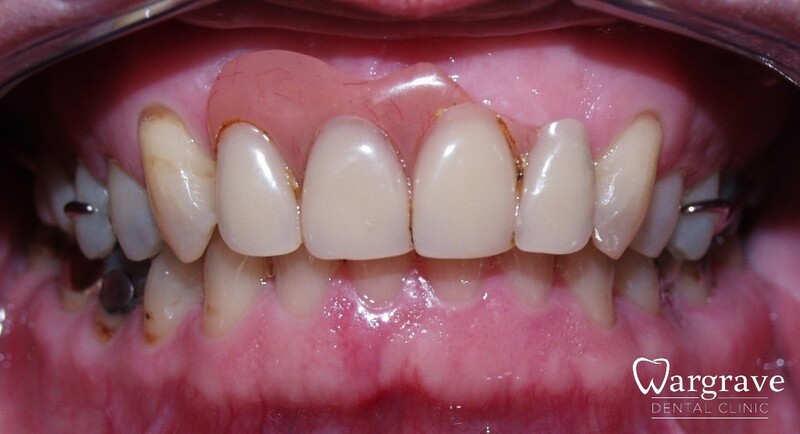 Case 1 – This patient requested a new denture to improve the appearance of her old set. 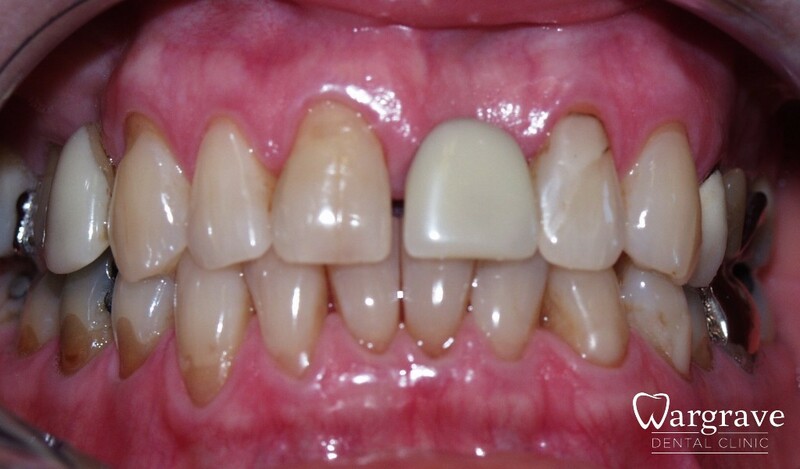 The new tooth positions and colouring matched the patient’s natural teeth. She was very happy. 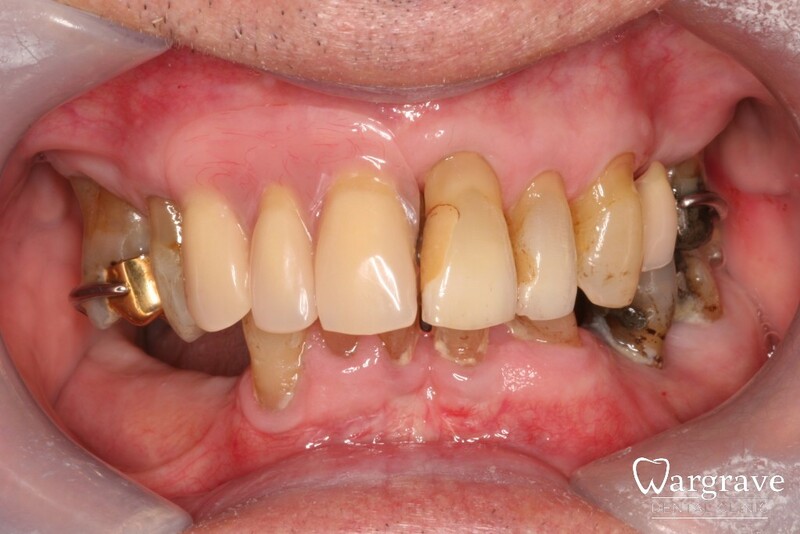 Case 2 – After a thorough discussion and learning the patient’s requests, a new denture was provided. 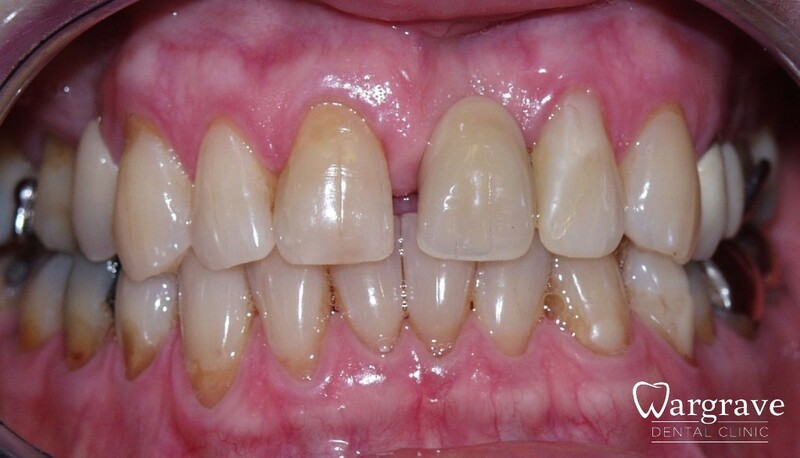 The new denture incorporated a diastema (gap between the front teeth) which is what the patient originally had when her natural tooth was present. 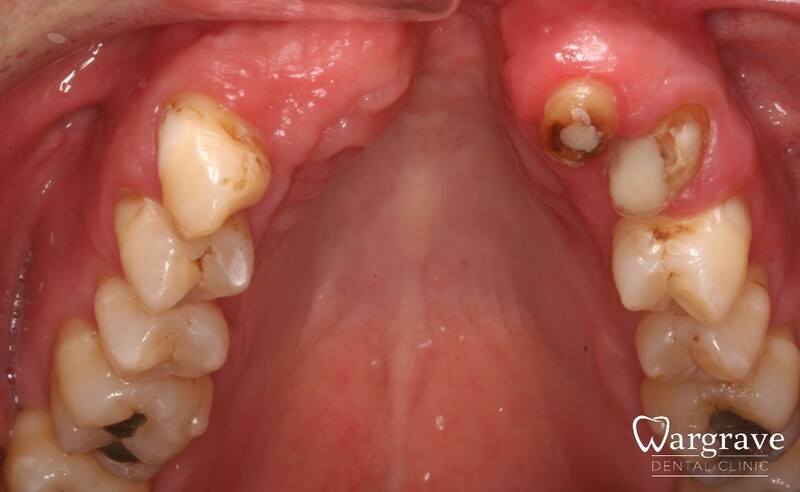 This new patient stated his front tooth from his denture had broken off over a dozen times. A correct diagnosis was made and the new denture had to also manage the complex bite. 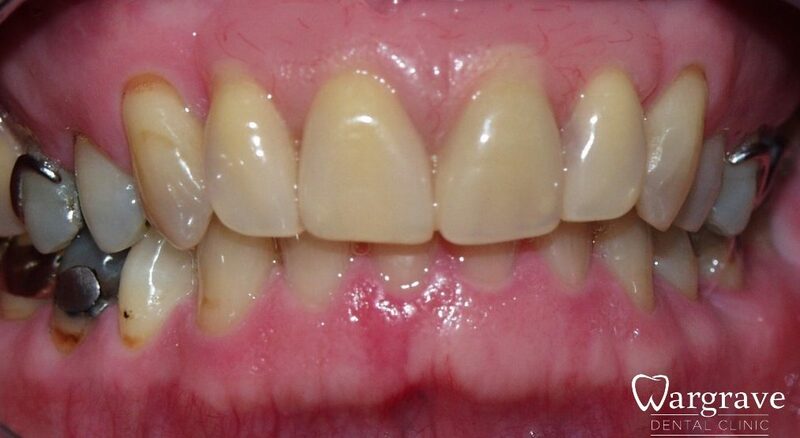 This was done with an overlay denture and the front tooth hasn’t come off since! 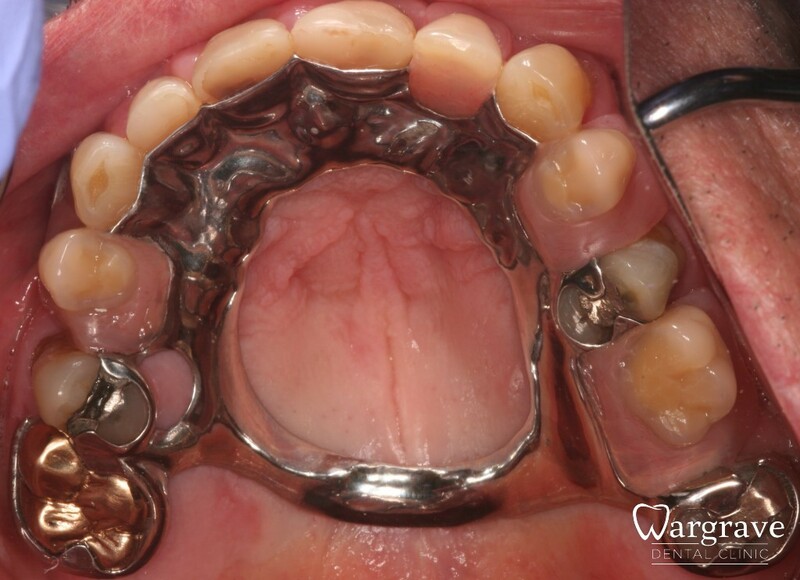 Case 1 – If there are some natural teeth remaining, metal dentures can be fabricated to be supported. 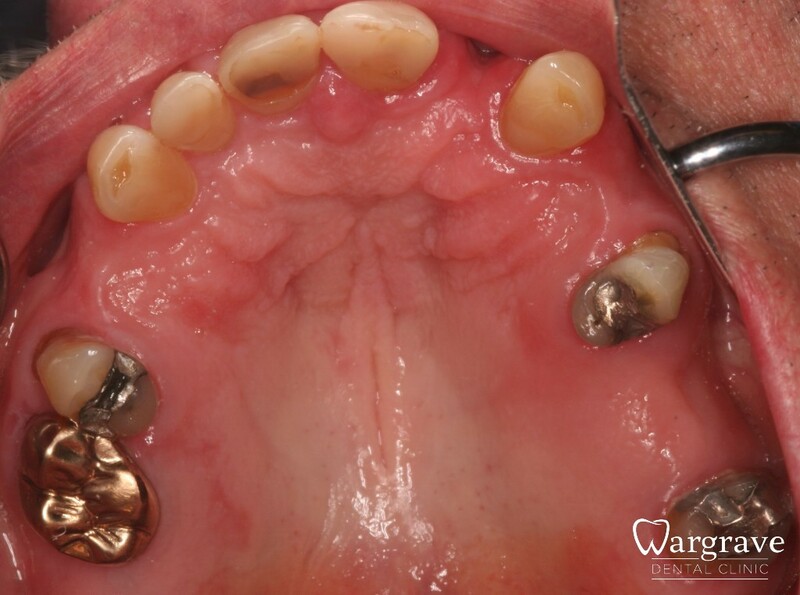 Case 2 – This patient had a large defect in his top jaw, his existing acrylic denture was unsatisfactory. 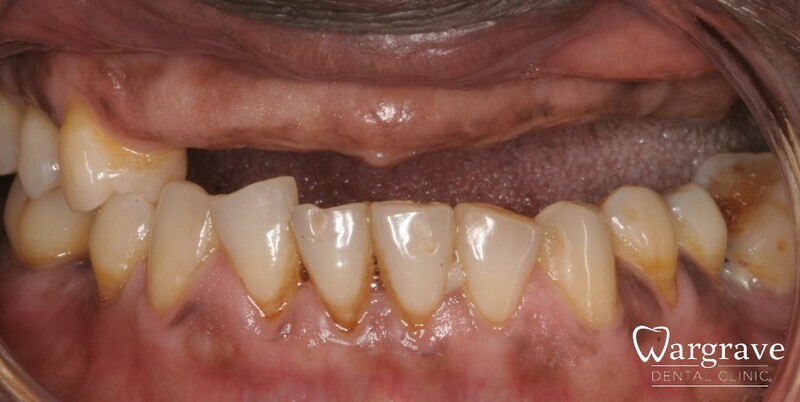 The appearance and retention were both addressed with his new metal denture. 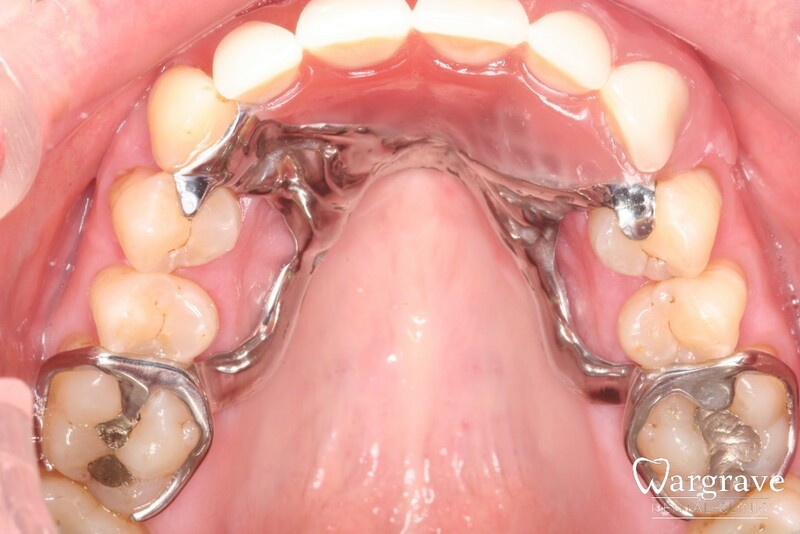 Case 4 – This horseshoe design of metal denture allows the palate to be free from coverage enabling the patient to be more comfortable and taste his food. 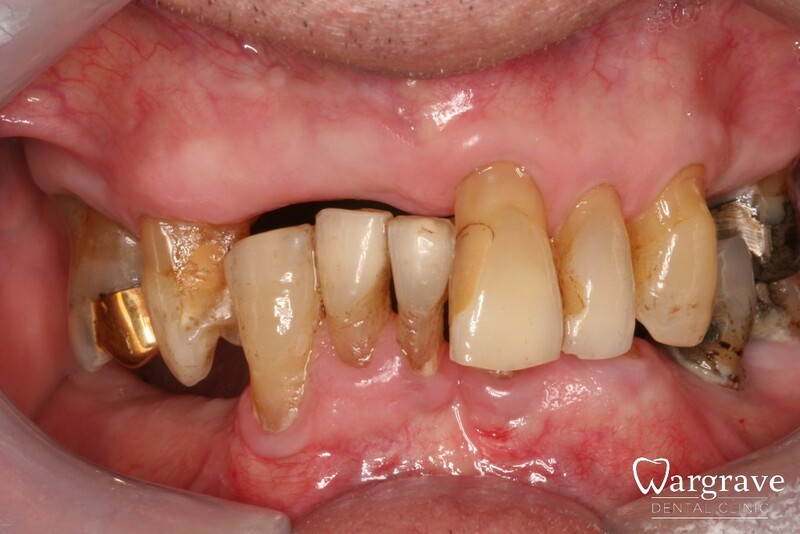 This style of denture also felt less bulky to the patient.